“Just had one of your fine Bartlett pears. It was amazing! Juicy, sweet, full of flavor! “Just had one of your Bartlett pears that I purchased at Country Grocer. Best Bartlett I have had in a long time. 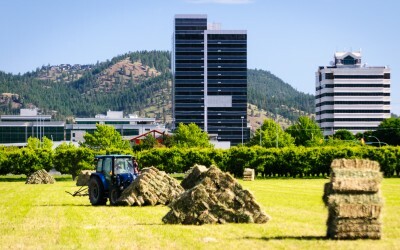 The Day family has been farming in the Okanagan Valley for more than four generations. 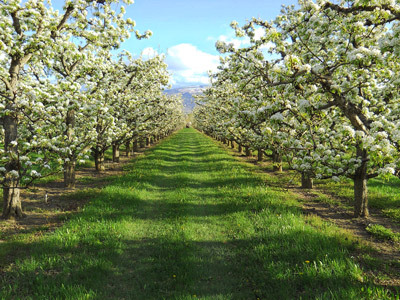 Now, Day’s Century Growers brings you farm-fresh Pears grown in the heart of Kelowna and packed on-site. 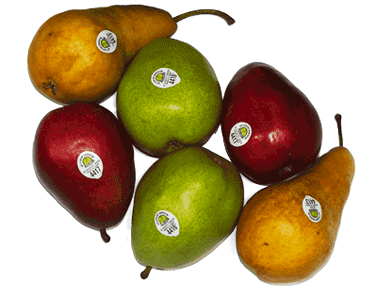 Day’s Bartlett, Bosc, and D’ Anjou Pears are then shipped to outlets across British Columbia and Canada. Ask for them by name. We grow Pears, and lots of them. Our orchard produces Bartlett, Bosc, and D’ Anjou varieties that we think are some of the best tasting Pears you’ll find. And, they are sorted and packed in our own facility which attained a 100% score from the CanadaGAP food safety program. The Day family has been working this farm in Kelowna for over 120 years. Sustainable farming practices like Integrated Pest Management (IPM) and soil-building techniques are at the heart of our success. Find out more about our farming practices and family history.